Internships, Short Films and Summer Break! I am back in the U.. S.. of the A! USA, for people who thought that the first sentence was weird. But I have actually been back for two weeks now and I have started my two internships. Yes, two. When I was on spring break I got a message from one of the founders of a festival called New Blues Festival/ Long Beach Blues Society, and they basically hired me right away. They did a FaceTime “interview” with me while I was in Europe, but that was basically just to introduce me to some people and to show me what they were doing. They said to give them a call when I got back and we would get started right away. The next internship is World Wide Motion Picture Corporation (WWMPC for short), and I got this one in October/November 2017. However since I was leaving soon for Europe in January 2018 they said to message them when I was close to returning to get me started for the summer. So, I did message them and the offer still stood. Both Internships got started as soon as I got back. My flight landed Thursday night and my internships began on Monday morning. So far the News Blues Festival internship is the morning Mondays, Tuesdays, and Wednesdays. While WWMPC is on Wednesdays, Thursdays, and Fridays in the afternoon. So far I really like them. I am working on really cool projects right now and some post of one have already been on instagram and facebook. I have not remained active on my Youtube channel, but since being home I will try and pick it back up again and do some content. I want to do some short films or home improvement projects. I am getting a new desk computer soon and my desk needs an upgrade. I needs to be painted white to with the rest of my room and I need a chair. Also it needs to have a shelf moved as it will be in the way to the screen. I am hoping to get the iMac 27-inch computer for all my projects and internships. For the summer a goal of mine besides career is being active. I want to work out, do yoga, and find a soccer team to practice with. I miss soccer and I really want to play again competitively. GREAT NEWS! 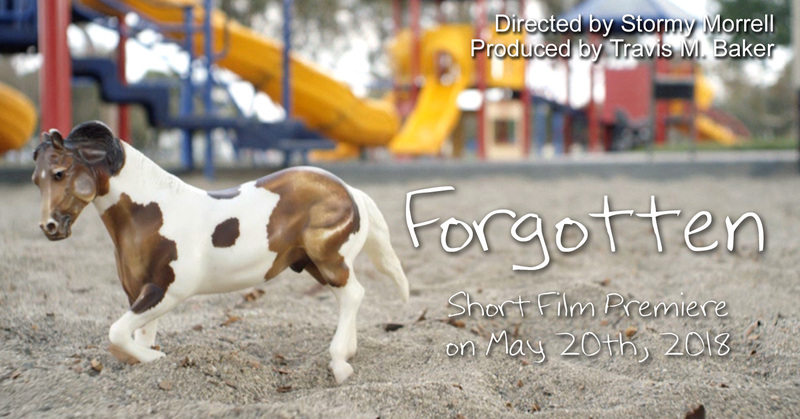 The short film that I helped in for Fall 2018, Forgotten directed by Stormy M, has since been finished, shown in CSULB Film Showcase and released on Youtube! Here is the link to the film if you want to check it out. Forgotten – Directed by Stormy Morrell and Produced by Travis Baker. My role in the film was Script Supervisor. I am hoping to do more films like this in the Fall semester and on my own. I am really proud of this one. I am a little sad that no one can leave a comment on Stormy’s video on Youtube, but please leave a comment down below what you thought of it. I am going to be adding it as part of my reel. Great summer so far and I hope to do more!